The singing of Stefan’s mother, Rosina Wolf, is referred to several times in the film. She knew some of the divas because they had the same coach, Giuseppe Bertelli, a conductor at the Rome Opera. 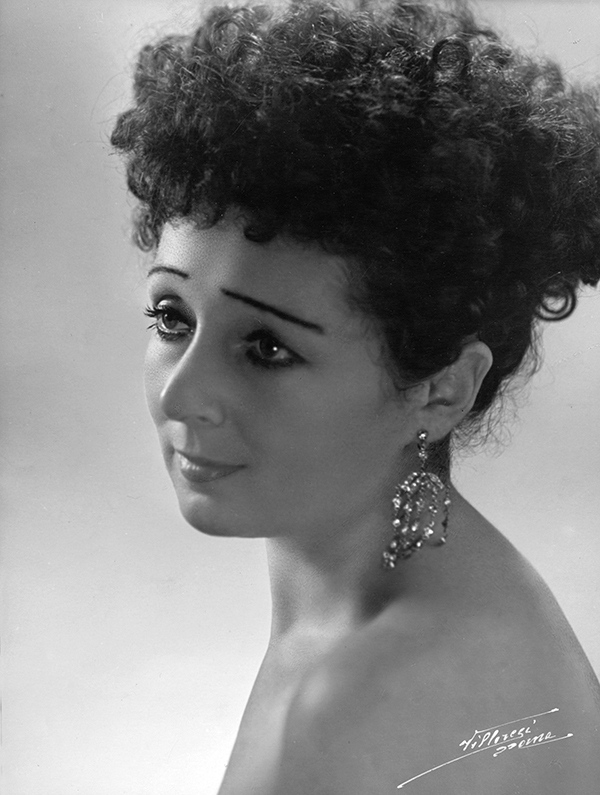 Her repertoire ranged from Carmen to the Queen of the Night to Butterfly, Salome, Isolde, Brünnhilde and Norma. She performed Nelly in the world premiere of the fourth version of Bellini’s Adelson e Salvini, at New York’s The Town Hall, in 1972. (Stefan Zucker was the Salvini.) In 1976 she appeared with him on RAI, Italian state television, in music from Puritani. She sang on the one hand with more fire and on the other with greater pathos and inwardness than anyone else (possibly excepting Tamagno). As many of the divas say in the film, they based their interpretations first and foremost on the words. Rosina’s were founded instead on her emotional response to the music. For her, feeling was everything. One hears the platitude that interpretations are boring when singers don’t fathom the words. The words in some cases inspired composers, who then interpreted the words for us by setting them in particular ways. When a composer has set words well, the singer seldom needs to add to that. When singers base their interpretations on words, the results can be emotionally superficial. Such interpretations often become fussy and busy. Instead, one must have the temperament to feel the music and find the right colors for it. We first come to opera because of our emotional response, which usually has little to do with the words as such. As a singer, one also has to go beyond the words. She used both the voce infantile and chest resonance. For the sake of vocal health she typically refrained from using chest resonance above E-flat at the bottom of the staff and never used it without mixing in some head resonance. Rosina’s recordings currently are out of print. I intend to do something about that. Rosina greatly admired Olivero, whose interpretations first and foremost are word-based.